Having a working air conditioning system in your vehicle may not be necessary for it to operate correctly but it can make the driving experience much more enjoyable. Depending on where you live, the time of year, and whether or not you have pets or small children having an air conditioning can easily be a top priority. In fact, many vehicle owners are much more concerned about the operation of their vehicles cooling system than they are with other more necessary components. Unfortunately, when the A/C starts to go haywire or just quits working altogether a vast majority of drivers have no idea how to fix the problem. Like most other components in a vehicle the cooling/heating system tends to be rather complex and is not something that the DIY crowd will be able to tackle on their own unless they know precisely what the problem is. For most people, an A/C that doesn’t work either means toughing it out until cooler weather makes an appearance or taking the vehicle in to an auto shop to have the problem fixed. If you need to have your air conditioner repair in Venice or would like to have it serviced so that it will be ready to go when the heat rolls around bring your vehicle in to Rolling Auto Service. 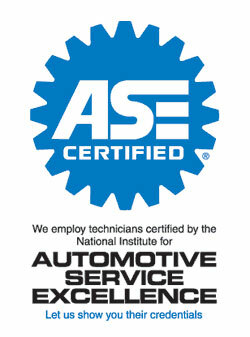 Our ASE certified technicians can repair the cooling systems in a wide variety of different vehicles. From air compressor replacement to freon replacement we have the personnel and the resources to help you with all of your air conditioning repair needs in Venice. Just give us a call today to see about receiving a free quote from the best auto repair shop around. We will identify your A/C problems in no time and have you riding cool again as fast as possible. You really can’t go wrong with Rolling Auto Service of Venice. Posted in Uncategorized and tagged A/C, Air Conditioning, Air Conditioning repair, Air Conditioning repair Venice, ASE Certified, Rolling Auto Service on November 28, 2012 at 3:37 am by Rolling Auto Service.